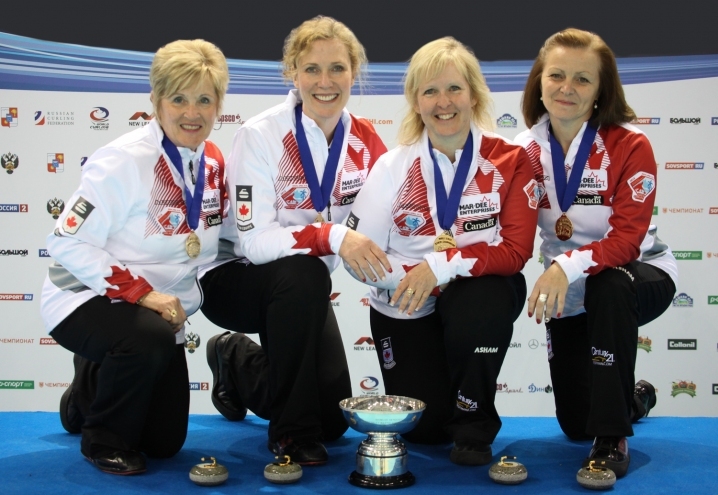 It was gold and world titles for the USA men and Canadian women as the World Senior Curling Championships 2015 came to a conclusion on Saturday at the Iceberg Skating Palace Training Arena in Sochi, Russia. In the men's gold medal game, USA faced Canada, with both teams undefeated until this stage. USA took the early advantage, with a single point steal in the first end, and then followed that with a further steal of two more points in the second end when Canada's skip Alan O'Leary wrecked on the way in with his last stone. Eventually USA led by 6-1 in the fifth end, but Canada had a revival in the fifth end, scoring three points to reduce the USA lead to 6-4. 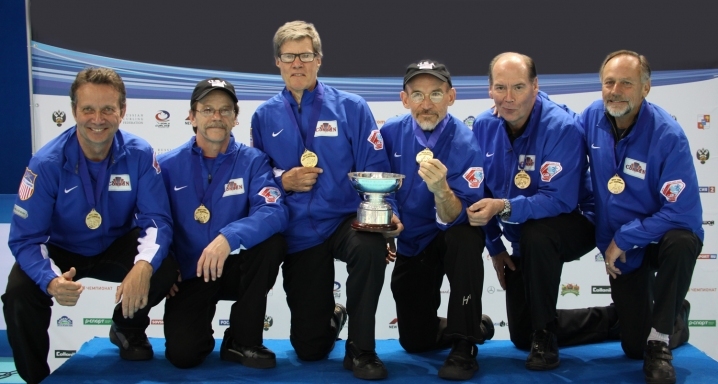 But USA responded with three points of their own in the seventh end and ran Canada out of stones in the eighth end to claim the game, by 9-4, the title and the gold medals. After his win, USA skip Lyle Sieg said: "Well, well... world champion...after forty years, to win the last game of the year and we finally did it. I'm so proud of this team. All the work we've put in this year and to come out like this, that was fantastic." He added: "You spend your whole life from when you're fifteen to when you're sixty curling and you just dream about throwing that last one, winning the game and finishing the year with a win. It's so rare and I'm going to hold it dear forever." 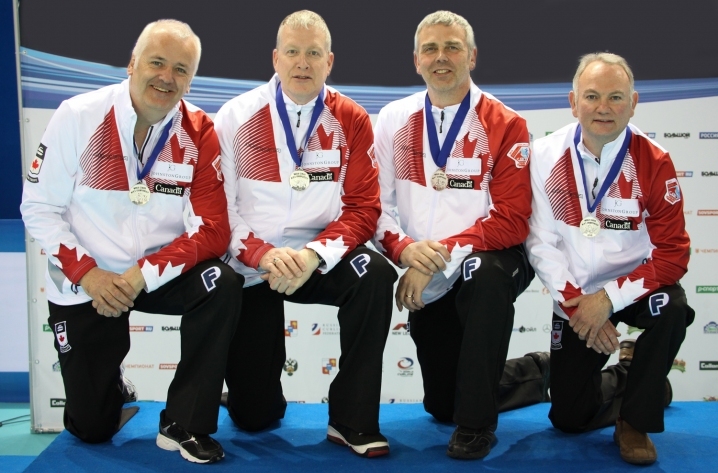 For his part, Canadian skip Alan O'Leary said: "Silver feels not great but we had a good week. It was the thrill of a lifetime having the Maple Leaf on our back, but USA have been hot all week and full credit to them for becoming world champions. We lost to the better team today, so congratulations to them." In the men's bronze game, New Zealand beat Denmark by 6-4, thanks largely to a score of three points in the sixth end and a triple take-out by their third player Dan Mustapic at a crucial point in the seventh end. After the game, New Zealand skip Hans Frauenlob said: "It's fantastic to come away from a World Championship with a medal. We're obviously disappointed to lose the semi this morning but I was really pleased with how the guys came back this afternoon, a really solid game." More generally, he spoke for all the athletes when he said: "The week in Sochi has been amazing. We didn't know what to expect but the facilities have been amazing, the organisation has been fantastic, and the hospitality has been brilliant - we've had a great time here." To reach the medal games, USA beaten New Zealand by 9-4 in the semi-final, while Canada were 5-3 winners over Denmark. 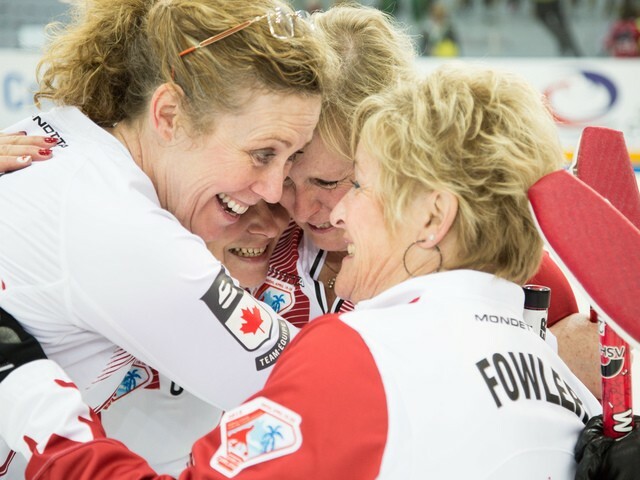 In the women's gold medal final, Lois Fowler led her Canadian team to a 6-2 win over Italy, for a tenth women's world seniors title won by Canada. 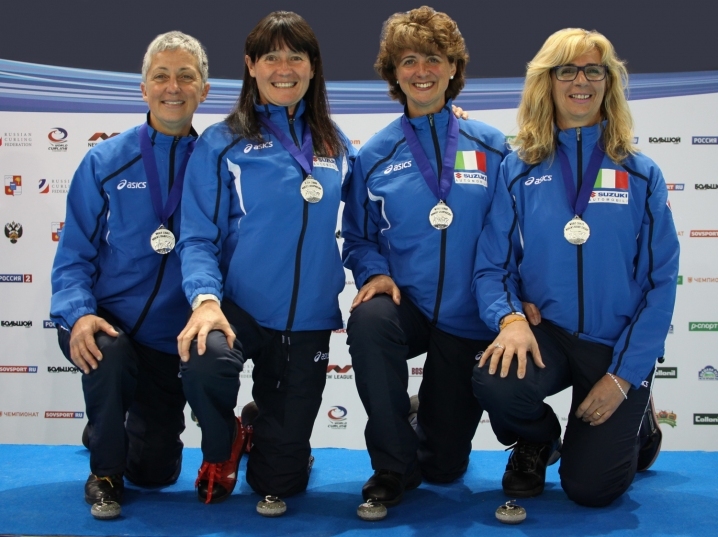 Meanwhile the silver medal for skip Fiona Simpson and her team was a first-ever world medal for Italy. The Canadians opened with two points in the first end and then followed that up with a further two point score in the third end. Meanwhile, history-making Italian skip Simpson said: "This is well and truly beyond our expectations. The team's been absolutely great and I'm so proud of them, they played so well, we're really, really happy. This was the kind of game that could have gone 10-1 or more than that, and we managed to hold them." After a good start, USA took bronze with a 6-4 win over Sweden and, for their skip Norma O'Leary, this was a second successive bronze medal. After her win she admitted: "I'm definitely glad to go home with a medal, no question about it. I was kind of hoping for a different colour this year, but I'll take it." To reach the women's medal games, Canada had beaten Sweden by 10-2 while Italy were 7-6 winners over the USA. Following the conclusion of this year’s Championships, it was announced that Karlstad in Sweden will host the World Mixed Doubles and World Senior Curling Championships in 2016 between 16 and 23 April. 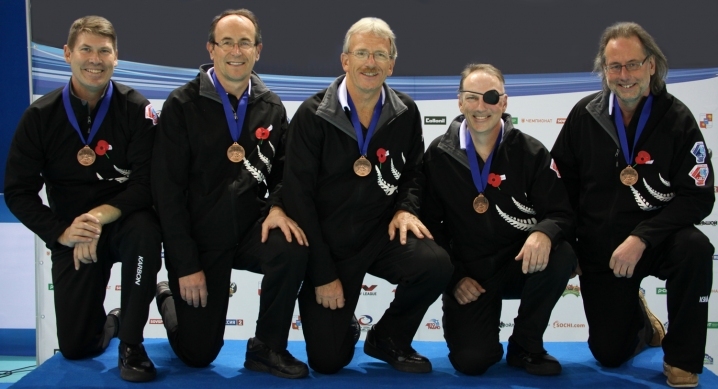 BRONZE: New Zealand: Hans Frauenlob (skip), Dan Mustapic, Lorne De Pape. Ian Craig (alternate Dave Watt). 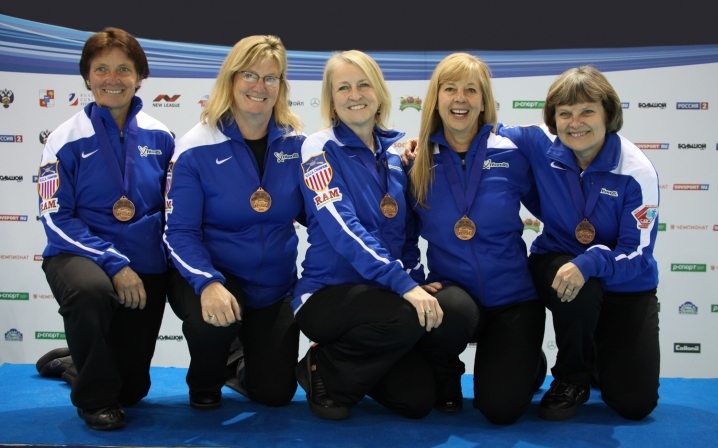 BRONZE: USA: Norma O'Leary (Skip), Linda Christensen, Mary Shields, Lucy DeVore (alternate Shelley Dropkin). Gold medal game: Canada 4, USA 9. Bronze medal game: New Zealand 6, Denmark 4. Semi-finals: Denmark 3, Canada 5; New Zealand 4, USA 9. Gold medal game: Canada 6, Italy 2. Bronze medal game: USA 6, Sweden 4. Semi-finals: Sweden 2, Canada 11; USA 6, Italy 7.